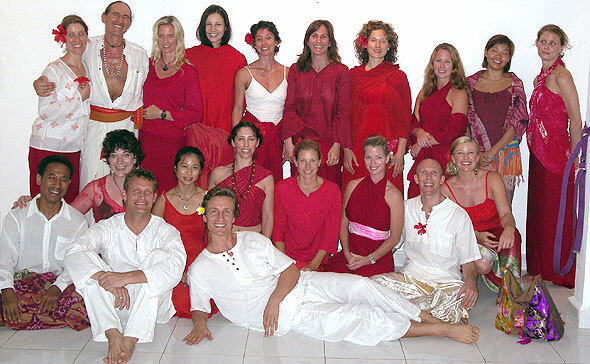 This 7-day workshop with Emil is designed to introduce the practitioner, in the delightful mountain environment of Bali, to both a stimulating postural practice, and the magic that lies beyond the physical aspect of Yoga. The retreat hotel, Ananda Cottages, Ubud, has two yoga studios that overlook rice fields and distant blue mountains - a truly beautiful environment to be. Participants will practice together between 6 – 7 hours a day in a combination of morning and late-afternoon classes. 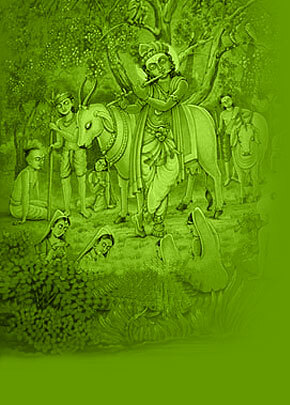 Asana, Pranayama, Kriya-Yoga and guided meditation are combined with seminars in yoga philosophy and background information on the techniques involved. The course also offers an insight into yogic ritual, Mudras and Mantras, and includes paying respect to the spiritual environment with a private ceremony in one of the temples and shrines near Ubud. All levels are welcome at this workshop in Bali, but for those who have never practiced Asanas or Pranayama, a good degree of physical fitness is recommended. Cost of Workshop US$ 1050 per person (in 2010), on twin basis (2 persons will share a room). extended brunch, as well as expenditures connected to a temple ceremony. Not included are the airfare, the airport transportation, and dinners. For Single Room Costs, please enquire here. Bookings & Inquiries For those who arrive earlier or wish to stay beyond the yoga-workshop, please let Emil know to arrange the additional booking. Please note that the standard rooms tend to be filling quite rapidly. So book soon! Please note Bring your own yoga mat and a yoga belt! We are meeting Sunday, 07th June, at 20:30 for an introduction meeting at the beautiful Yoga Hall overlooking the rice terraces of Ubud of Hotel Ananda Cottages, Ubud. The bedrooms are reserved from noon-time onward. The workshop ends on Sunday, 14th June, after the morning session with a common brunch. Naturally, we keep the exact timing compliant with weather, temperature and other local conditions. The afternoon sessions will include an introduction to those elements of Indian philosophy which are fundamental to the understanding of yoga. We will also deal with the yogic disciplines of Mantra, Mudra and Kriya-Yoga, and applying them in our practice. There is time for questions and answers. 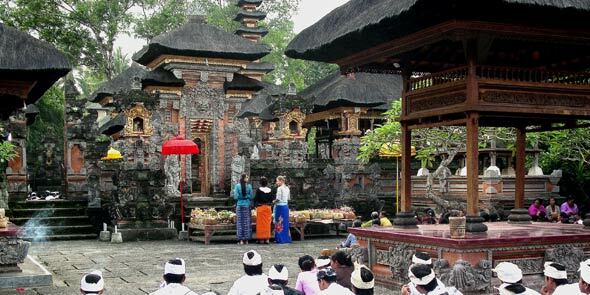 During the workshop period, at least one collective visit to a temple or shrine is included – the occasion depending on the Balinese festival-calendar. Emil E. Wendel has been living in Asia since the mid-seventies, studying Indian thought as well as Chinese classical philosophy. His many years of residency in Nepal and India have brought about a passion for yoga, in particular the aspects of breath and meditation techniques in both the Buddhist and Hindu traditions. His courses offer a glimpse into the treasures of philosophy, and their application in daily life as yoga practice and ritual, all in the original context. He is presently instructing in teacher training programs for Yoga Arts, of Australia, ShaktiSpirit and Radiantly Alive, of Bali, and Brahmani Yoga, of India. When not teaching or researching and practicing in Nepal and India, Emil is conducting his own workshops and retreats in Europe, as well as in Bali, Singapore, Thailand, Australia and Japan. In the price included is the hotel accommodation at Ananda Cottages, Ubud-Bali. The Ananda is a beautiful hotel (s. website www.anandaubud.com) and has hosted the most prominent yoga workshops for very many years. The extended brunch meals are plentiful, vegetarian, and served buffet-style. Ubud and its surrounding villages offer a spectacular range of beauty, crafts and personal encounters. Bali is the Island of Gods – there are temples and ceremonies everywhere, everyday. For those who wish to explore the countryside during the time off, taxis are easily available with the hotel on request. Likewise, motor scooters are for rent nearby. For dinner, we suggest exploring the many restaurants in Ubud – apart from typical wholesome Indonesian food, a variety of delicious cuisines from around the world are found within easy reach. To soothe the hard-working body and mind, we recommend a Balinese-style massage, offered both in the hotel and in the many excellent parlors in town. For those who are new to Ubud, we have a list of restaurants, parlors, and other topics of interest. And announcing that you will pay to buy some sort of Coast Ivy legitimacy? Ganzert and First Lady of Palm Beach Lois Pope, who made a major announcement at the MaraLago gala luncheon, informing the audience of significant new support by the Lois Pope LIFE Foundation, Inc. Does anyone remember Maggie Tabberer after she put on some weight that woman was still just as beautiful as she was, when she was slimmer? house for rent in beijing Bay Lights was born on the playa at Burning Man. As a longterm resident here in Abu Dhabi I have to refute some of the very negative reviews of Marina Mall. beijing apartments rent I warn you, as I did before, that those who live like this will not inherit the kingdom of God. Despus de graduarse de la Escuela de Diseo Parsons en 1986, estudiando en un principio arquitectura, eligi trabajos de diseo con Cathy Hardwick y Perry Ellis. But stuff like that usually does cost money, and require reservations. For all other passport holders: please contact the Indonesian Embassy for a tourist visa. The 30-day visa on arrival is not extendable. If you wish to stay longer, please apply for a 60-day visa at your Embassy at home. Places in this workshop are still available!